Given that 2014 marks the 200th anniversary of the birth of Adolphe Sax, it is only fitting that Ricercar, with its history of familiarising the world with lesser-known musical instruments, should devote a CD to the genius who invented the saxophone. The instrument�s capabilities are demonstrated by two very different types of music, the first being exemplified by the Romantic works that were composed for the saxophone in Paris in the first years after Sax�s patent had been registered. It was jazz music, however - music which Sax could never have imagined - that gave the instrument and the saxophone family as a whole the fame it enjoys today. As is Ricercar�s custom, the CD�s accompanying booklet includes extensive liner notes. 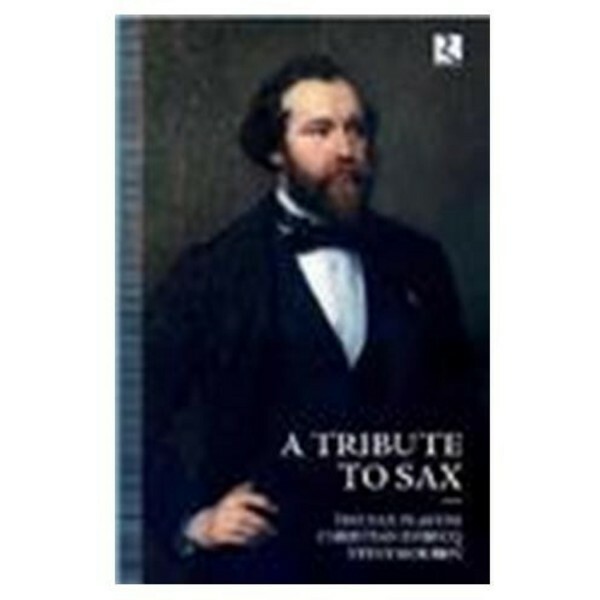 An article by J�r�me Lejeune describes the invention of the instrument and the first works that were composed for it in Paris, these dating from the time when Sax himself was touting for new works for the saxophone as well as publishing them, before his appointment as professor of saxophone at the Conservatoire de Paris. Jean-Pol Schroeder�s article is a highly interesting account of the history of the saxophone in jazz music. Saxophones made by Sax�s own atelier are used for the French Romantic pieces by Singel�e and Demersseman, together with copies of the original mouthpieces. Their sound is indeed a revelation, for they are played without any trace of the vibrato that was traditionally applied to the instrument during the 20th century. The jazz standards recorded here were played by Steve Houben on a Selmer alto saxophone from 1957. Their clear and clean lines are performed without accompaniment and reveal the quality of the musician and his instrument. Some of the pieces make use of double-tracking to create a saxophone duo, whilst others have been given a delicate double-bass counterpoint by Michel Benita. The jazz selections were originally recorded in 1992 and 1999, the Romantic works in 2002.